Our current building boom in Seattle means a lot of old homes are being torn down. And there are lots of useable materials from these old homes that don’t always get put to best use. In fact, construction waste accounts for one-third of Seattle’s landfill total. Our friends at Dedicated Deconstruction are hard at work trying to change that. 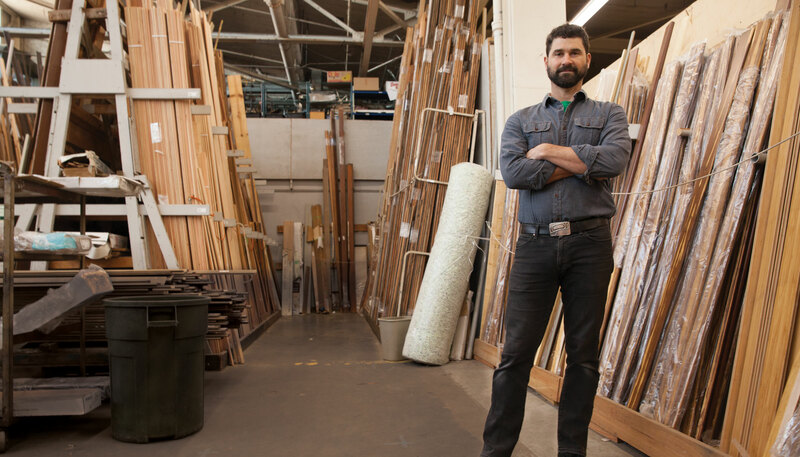 They make sure quality lumber, flooring, tile, and fixtures don’t go to waste. Every year the crew diverts about 20,000 tons of material from landfills! Noel Strout and his crew are brought in on construction jobs by contractors concerned with minimizing job site waste. They then asses the site and salvage everything that’s useable, including lumber, fixtures, appliances, tile, and bricks. These salvaged materials can then be used on the next project or donated to salvage resellers. 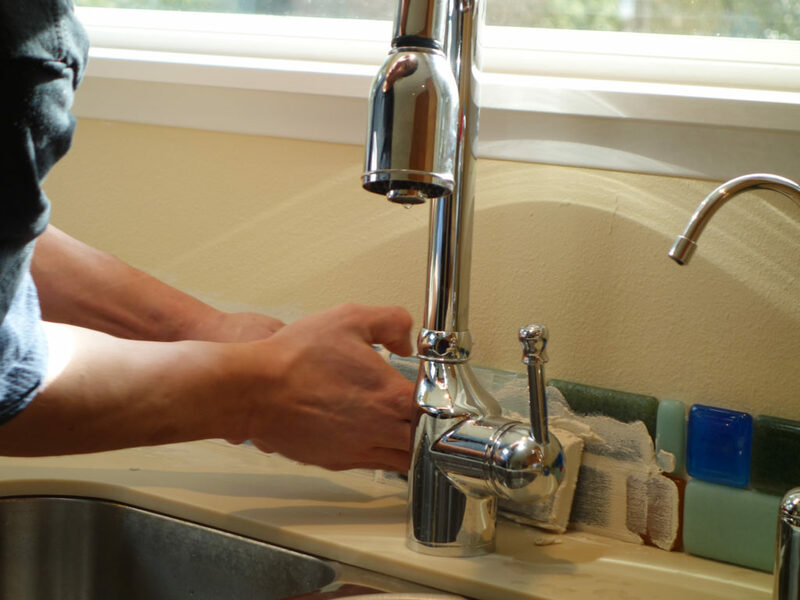 This process is a fantastic way to minimize the impact our remodel jobs have on the planet. At Mighty House, we are proud salvage and donate/reuse as much material as we can on each project. Dedicated Deconstruction has been a great partner on our past projects and we look forward to continued work with them and other environmentally minded crews!Read the full Seattle Magazine article here. 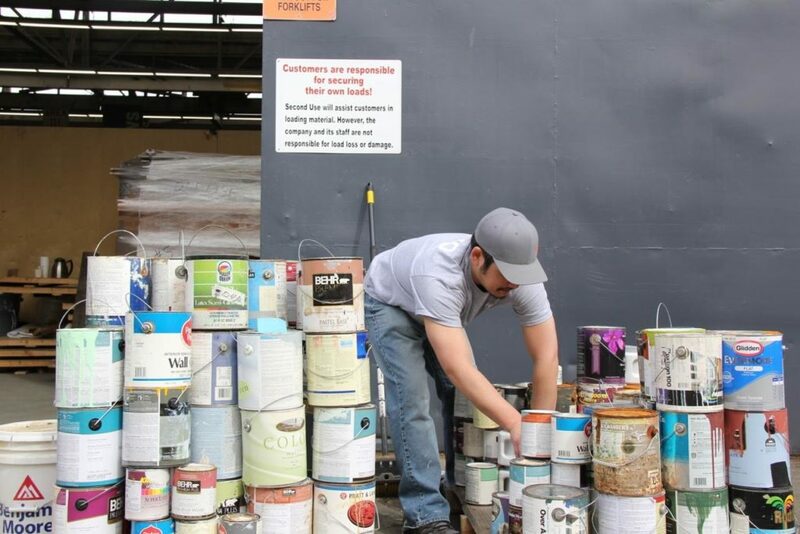 Our friends over at Second Use Building Materials are now accepting used latex paint for a small fee! After years of hunting, they have finally found a sustainable solution by partnering with Green Sheen‘s recycling efforts. 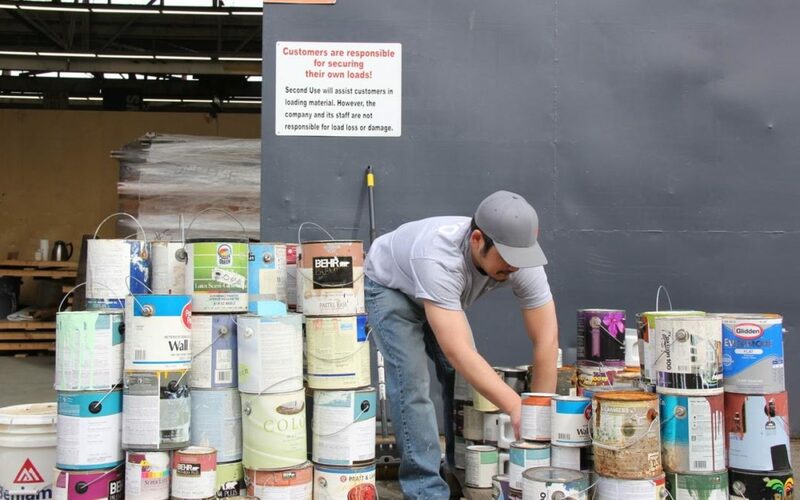 Learn more about their new policy and how to recycle your paint here. There is nothing better than having the right tool for the right job! Join us at Second Use Building Materials to discover the who-what-where-and-why of power tools with our very own Doug Elfline. This free workshop will teach you how to assess which tool is the right tool, how to plan your tool use, what safety considerations to be aware of, and how to troubleshoot potential problems through a short presentation followed by live demonstrations of popular power tools, a conversation on where to find them, and Q+A with the pros. Join us for a FREE Workshop on using Salvaged Windows and Doors in your project on April 7th from 11-12:30 at the Second Use SODO store. Our very own, Doug Elfline will guide you in assessing your window and door projects to see if using salvaged materials is an option, demonstrate how to choose appropriate salvaged windows and doors, and share tips for proper installation and maintenance. This event is free and open to the public and includes a 10% off coupon for same day cabinet purchases at Second Use. Please RSVP to maryanne@seconduse.com at your earliest convenience to reserve your spot. Salvaged cabinets are one of the most popular ways to incorporate reclaimed materials into a remodel. Like most salvaged material, working with salvaged cabinets presents many rewards, as well as a few challenges. Join our very own Doug Elfline on Saturday, March 10, 2018 at Second Use Building Materials SODO to gain an understanding of how to shop for salvaged cabinets, prevent common installation mistakes, identify the different types and parts of cabinets, and determine what type of cabinets are the best fit for your project. Please RSVP to maryanne@seconduse.com at your earliest convenience to reserve your spot. Join Second Use on Saturday, February 10 for a free Tile 101 Workshop from 11-12:30 PM at the Second Use SODO store. Our very own Doug Elfline will walk you through the best practices for working with tile, from choosing the best tile for your space, to handling tricky spots. He will demonstrate how to use equipment such as tile saws, mortar, trowels, and spacers as well as how to maintain your tile. Attendees will walk away with an understanding of how to cut, set, grout, and seal tile as well as 10% off their day-of Second Use tile purchase. This workshop is free and open to the public, but limited to 30 attendees. Please RSVP to maryanne@seconduse.com as soon as possible to reserve your spot.